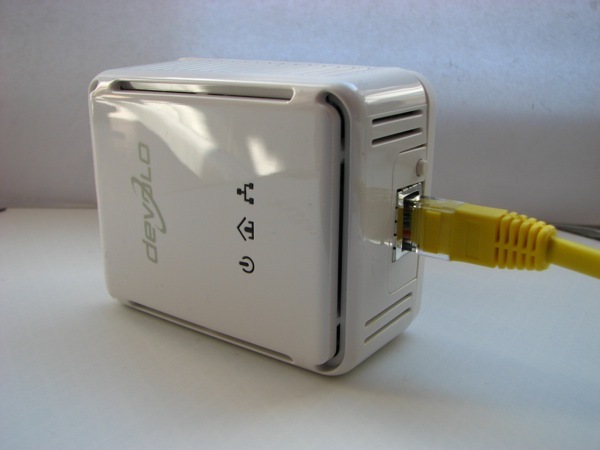 DeVolo has become the defacto standard for the TechCast Network office for networking. I don’t have a telephone access point in the office so my router sits in the next room. I haven’t got a decent wireless router that allows me to take full advantage of the bandwidth available so the next best solution is Ethernet. However, I’m not one for drilling holes through the wall and trailing Ethernet cables around the house, so the next best solution is Ethernet over Power. 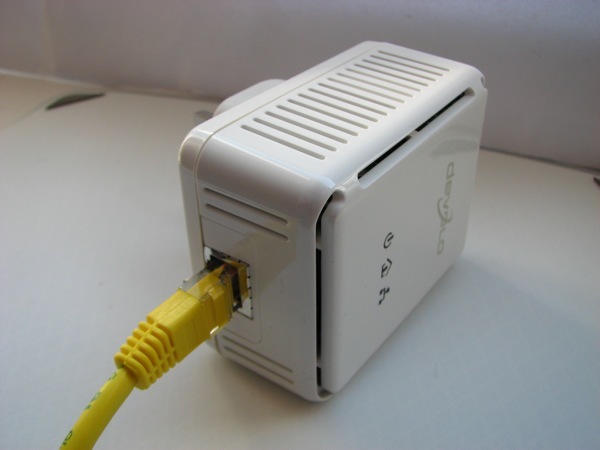 Ethernet over Power is a technology that employs the use of your existing household electrical wiring for data transfer, and I have to say it works great. There’s only a few companies that are offering products with this technology built-in, and even fewer that offer a 200Mbps solution. DeVolo are one of those few, and I’ve been using their Ethernet over Power products for nearly a year now and they’ve worked flawlessly over that time. 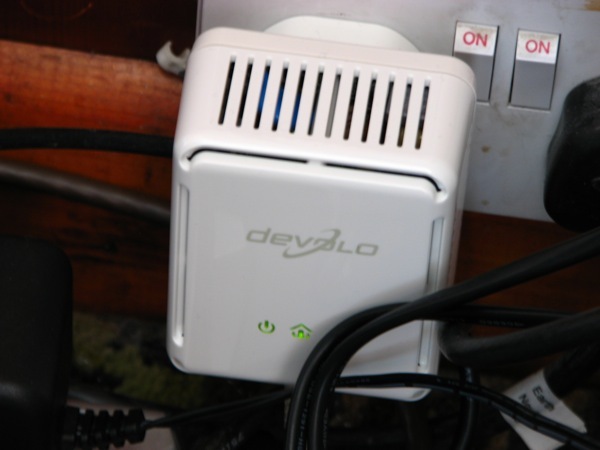 The dLAN 200 AVeasy starter kit includes two HomePlug AV adapters to allow A to B connectivity. 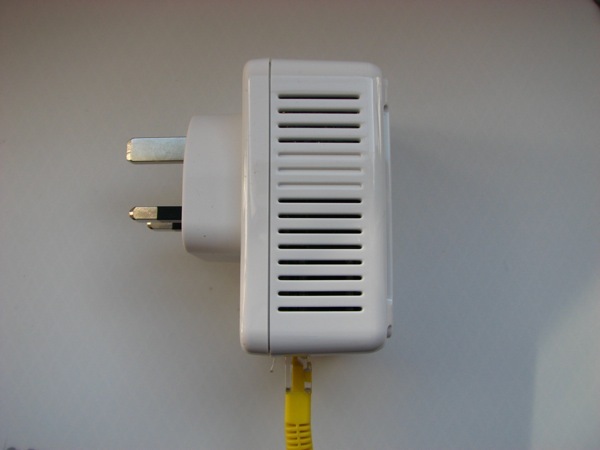 In my setup, I’ve got one plug attached to my ISP-provided router, and that plugs straight in to a wall socket. The second plug is in the TechCast Network office and that provides my laptop with a high-speed low-latency connection to the router. One of the concerns I had in using this kind of technology is security. Since we’re all on some form of connected electricity supply, I was concerned over whether other people in my neighbourhood would be able to hijack my connection or listen in on the data over my network. These issues are dealt with using the built-in 128-bit hardware encryption of all data packets travelling across your power lines. This will prevent anyone from ‘listening’ in on your connection in being able to read any of the data. You can further protect your network using password protection so that only the HomePlug adapters that are configured with the correct password can be used to communicate with each other. This will be an important factor for people living in shared housing, or apartments/flats. If you’re looking to just get setup quickly, the whole kit is plug and play and requires no setup. Just plug your Ethernet cable straight in and it will take care of the rest. When testing file transfer speeds, I was able to achieve up to 30Mbits/sec and this remained consistent throughout the house, whether I was upstairs or in the same room as the source of the file transfer. This is a lot less than the theoretical maximum of 200Mbits/sec but that could be a result of a number of things, including the age of wiring and disruption from other electrical appliances plugged in. As the name of the product suggests, DeVolo are pushing this as a solution for audio and video streaming across the home. Yesterday, I saw an ad for a Samsung TV that featured DLNA technology, giving it access to a home network. There’s also a number of set top boxes that you can connect to HD TV’s for media streaming from your computer to your TV. This includes games consoles such as the Xbox 360 with Windows Media Center compatibility. At £92, the dLAN 200 AVeasy starter kit doesn’t come cheap. You can fetch a decent wireless-N router for that kind of money. The question you have to ask yourself is whether you need something that can deliver a fast, uncompromised and reliable connection consistently.